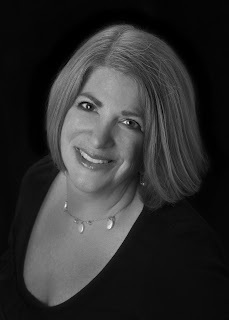 Applause and huzzahs for this month's Secret Agent, the exquisite Caryn Wiseman of the Andrea Brown Literary Agency. Caryn has been an agent with the Andrea Brown Literary Agency for almost 10 years, and she has sold over 200 books. She handles children's books only: young adult and middle-grade fiction and non-fiction, chapter books, and picture books (fiction and non-fiction). She represents NYT bestselling authors, award-winning authors, debut authors, and authors at every stage in between. Her clients include New York Times bestselling authors Tom Angleberger and Nate Evans, and bestselling and award-winning authors R.A. Nelson, Ben Mikaelsen, Randi Reisfeld, Cheryl Bardoe, Jennifer Berne, Debbie Levy, Brenda Ferber, Cece Bell, Amjed Qamar, Toyomi Igus and illustrator Michele Wood. No matter the genre, Caryn is looking for books with emotional depth and a strong voice; excellent writing in a tightly-plotted, commercial story; and characters that stick with her long after she has closed the book. In YA, she gravitates toward books that make her think and toward books that make her cry; in middle-grade and chapter books, laughter tends to be the common thread. She loves books that are intellectually challenging and take risks, but in a very logical way. She wants to be surprised by interesting plot twists, but she never wants to question the motivation of characters. Caryn holds an MBA from the Anderson School at UCLA, and a BS from the University of Virginia. She is a member of SCBWI and a frequent speaker at writer's conferences. I'd love to see a great contemporary YA - either completely realistic, or with a very smart science fiction or light fantasy element. No zombies, horror, or high fantasy. I adore a swoon-worthy romance with an intelligent heroine who isn't simply swept off her feet by a hunky hero. Voice is paramount, but the writing and story need to be amazing, too. Specifically, I'd love to see a YA thriller with the pacing and twists of HOMELAND a YA Downton Abbey, a Southern gothic romance, and a YA Glee or Pitch Perfect or Big Bang Theory. I'd also be happy with a non-dystopian science fiction or light fantasy, in which the world-building just carries me off. For middle-grade, I'd love to see something hysterically funny that isn't a one-trick pony, or a voice-driven, poignant story like WONDER, or a sweeping, epic adventure. I also love literary middle-grade like WHEN YOU REACH ME, as long as it has a great hook or twist. Our First Secret Agent Contest of 2013!